If that doesn't draw readers in, I don't know what will. 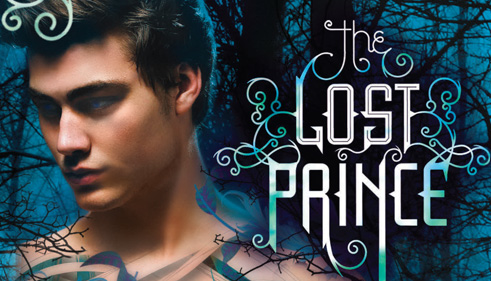 "The Lost Prince" by Julie Kagawa follows the journey of Ethan Chase, who has just transferred to another new school. In order to protect his family, he is forced to enter the magical world of the fey -- a world he never wanted to enter. But wait, there's a girl, too, and a budding romance despite Ethan's initial resistance. Will Ethan make it through his dangerous journey to see his eighteenth birthday? You'll have to pick up a copy to find out. For fans of the Iron Fey saga, the book features appearances by familiar characters like Meghan and Ash, while introducing new characters as well. Readers also get to really know Ethan, who is no longer a young child. "The Lost Prince" is the first book in the brand new Iron Fey trilogy: Call of the Forgotten and will be available in stores October 23. 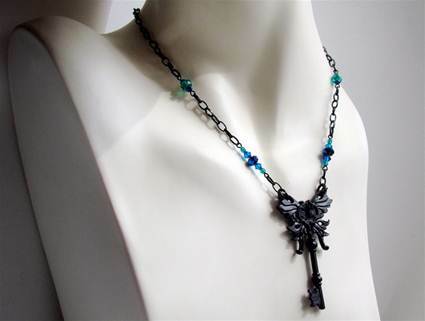 Lucky for you, College Gloss has partnered with Harlequin TEEN to give one (1) reader a copy of "The Lost Prince" and a limited edition "iron key" necklace! All you have to do to enter is "like" College Gloss on Facebook and comment below with your name and email address. The Iron Fey saga follows half-human, half-faery Meghan Chase as she fights to claim her magical birthright. Meghan’s journey begins in the mortal world, when her half-brother Ethan is kidnapped. The mission to rescue the innocent child draws Meghan into the Nevernever—the magical world—where the never-before-seen Iron fey are raining destruction upon traditional faeries. Meghan’s quest is fraught with unimagined dangers, unpredictable powers…and an utterly forbidden love. Now little Ethan is all grown up—and a new breed of fey has come for him. Bound by blood to a world he despises, Ethan plunges into the Nevernever searching for answers: who are the ghostly assassins hunting him? Who controls them? And why are exiled and half-breed faeries vanishing from the mortal world? With a vulnerable human girl to protect and an enigmatic faery ally he could never have imagined, Ethan embarks on his own Fey saga. Along the way he will encounter kin, comrades and deadly new enemies. He will discover his formidable strengths, and his deepest weaknesses—and he will fight for his life against the Forgotten. The second book in the Call of the Forgotten trilogy will be released November 2013. Julie will be releasing the second book in her Blood of Eden series, "The Eternity Cure," in May 2013. Feel free to check out The Iron Fey on Facebook! I "liked" it :). I loved The Iron Fey so I should love this one as well. Thank you. I can't wait to get my hands on this book, and the necklace is beautiful! Thanks for the giveaway! Awesome Giveaway! 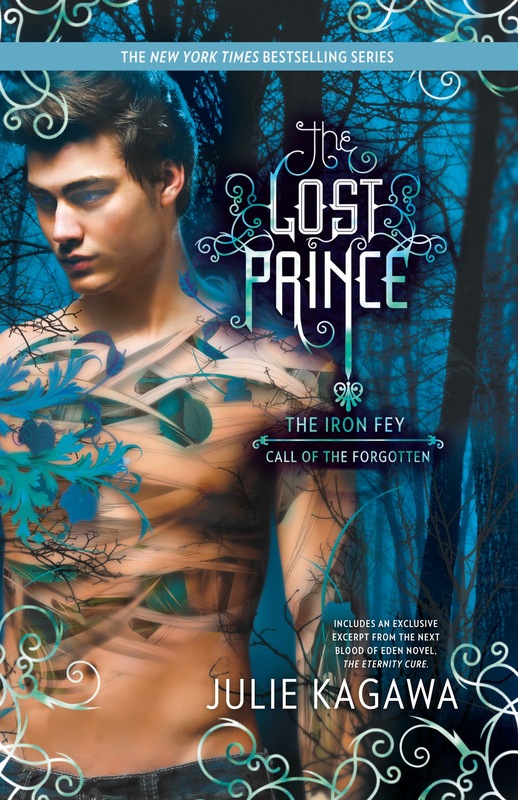 Loved the Iron Fey series and cant wait to read The Lost Prince! Beautiful necklace! Way cool. What is it about a key that is so magical?! I would wear necklace everywhere. Psyched about her book!! I really can't wait to read this book. The necklace is beautiful and I had surgery this year and I wear jewelry just like it to cover my scar. I would be thrilled to win.